Healthy Parks Healthy People (HPHP) is an international initiative, brought to the United States by the East Bay Regional Park District in 2010.This program recognizes that individual and community health is reliant upon a thriving parks system that is valued highly by the community that it serves. 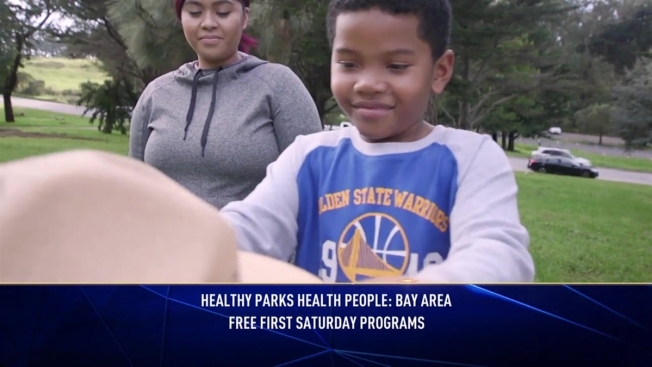 The hope of this program is to build connections between human health, environmental health, and ecological health within the mission and purpose of public parks. Collaboration is a huge part of this initiative, the partnership between park and health agencies is important to provide services to the community to maintain their health. It encourages physical activity, mental growth and provides a network of social support. These goals are accomplished through two initiatives: First Saturday programs and Park Prescription Programs. First Saturday Programs introduce physical activities that occur on the first Saturday of each month throughout the Bay Area. Park Prescriptions are park programs designed by park and medical professionals. Park Prescription Day 2017 was a success, having 14 celebrations that reached over 3,000 people throughout the Bay Area. The program believes that nature promotes health the scenery helps participants connect mind, body and spirit. To start the journey come out to the Kokoro Healing and Empowering Program tomorrow from 5:30-6:30pm. Then, Zumba at George Rocky Graham Park on Wednesday, June 7th, from 5:30-6:30pm.